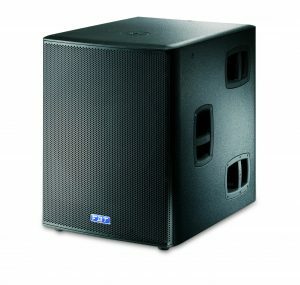 MITUS Sound Reinforcement Systems A comprehensive range of both powered and passive line arrays, 2-way speakers, subwoofers and low profile stage monitors. The MITUS 206LA is the flagship model of the MITUS range. Featuring 2 x 6.5” B&C woofers (with 1.7” high excursion voice coils) and a B&C neodymium magnet 1.4”HF compression driver with a 64 mm (2.5”) voice coil and a 35 mm (1.4”) exit throat coupled to a waveguide, the 206LA compact line array is engineered to respect the physical criteria of the ideal cylindrical wave source for the entire audio range. The cabinet features 2 x 6.5” woofers coupled to a waveguide. 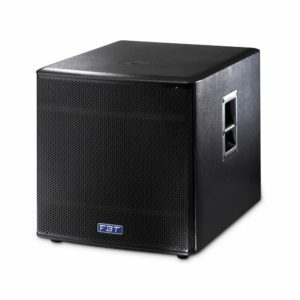 MITUS 212FSA is a 2 x 12” compact and flyable subwoofer, to extend the low frequencies of the MITUS 206LA when combined together in ground-stacked or flying arrays. Along with this model, the MITUS 118SA, the new MITUS 218SA and the MITUS 121SA, respectively 18”, double 18” and 21” subwoofers, which perfectly integrate for live or permanent applications where rich and high SPL bass frequencies need to be emphasized. 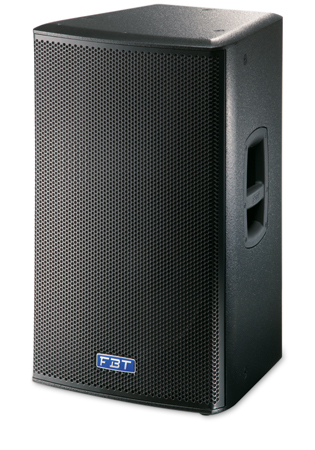 MITUS 115A, 112A, the new 152A and 215A are 2-way FOH speaker systems to provide for a wide range of applications, especially when matched along with the MITUS subs. With a discreet low profile enclosure design, the MITUS 10MA is undoubtedly the most advanced stage monitor of its type delivering maximum high fidelity monitoring, making it an ideal choice for all musical performances as well as TV studio broadcasts. 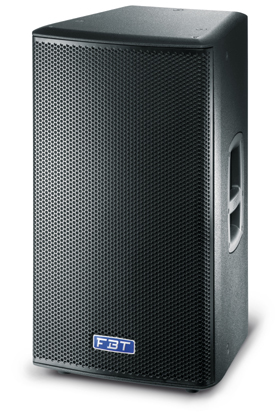 The MITUS 206LA is a truly innovative line array speaker system enriched by FBT’s highly skilled engineering and technological advancements such as power, performance, weight, flexibility and ease of use. 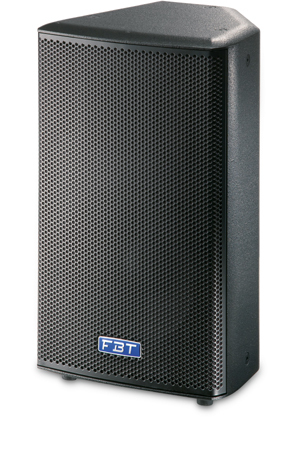 These are the credentials of this new line array, advancing the concept of line arrays in terms of power, performance, weight, flexibility and ease of use. The modularity of the MITUS 206LA, makes it extremely flexible for a wide range of applications, from a small 2 cabinet P.A. 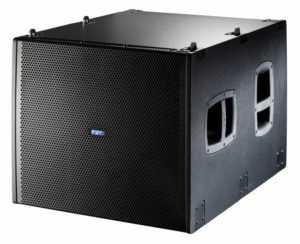 system to an elaborate line array system consisting of up to 12 MITUS 206LA cabinets along with multiple MITUS 212FSA subs for large concert events. The waveguide, optimized by BEM finite element simulation, offers 100° horizontal dispersion. The MITUS 206LA cabinets coupling hardware is internally integrated and allows the suspension of 12 arrays with a 10:1 safety factor. The cabinets can be easily angled from 0° to 10°, adjustable in 2° steps by simple pin adjustments on the cabinets’ integrated fly ware. The Class D (PWM) amplifier module with switch mode power supply provides 600W RMS LF+300W RMS HF. The amp module is contained inside an aluminum die-cast chassis, which also acts as the framework for suspending the system and angle adjustment inclination of the cabinets. The digital signal processor has 8 selectable equalization presets making the MITUS 206LA configurable according to the array curve and the number of speaker units utilized. To increase low frequency SPL, the MITUS 212FSA active subwoofer is a perfect match for use with MITUS 206LA line arrays. 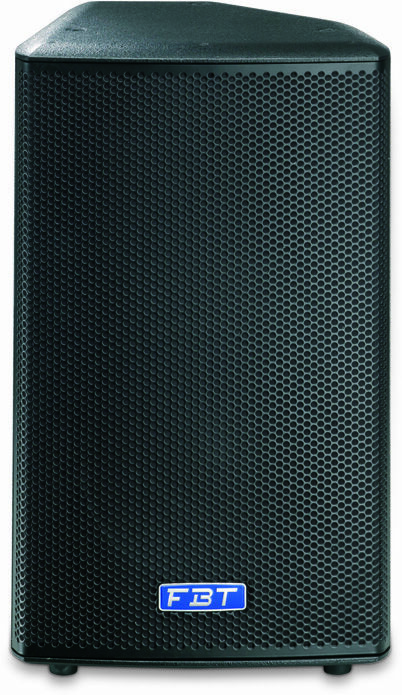 It can be used along with the other ground stackable subwoofers in the MITUS Series, the MITUS 218SA, 118SA and 121SA. For such applications these subs feature an “INFRA” mode preset. Through the use of the FBT aiming software program for PC it is possible to simulate the SPL distribution and frequency response of the listening area.